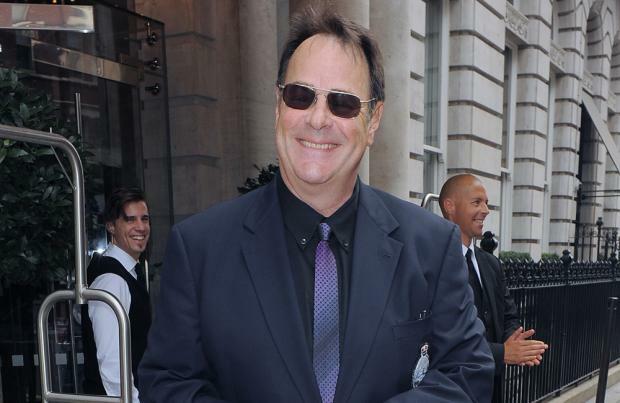 Dan Aykroyd is still hoping to make a "more conventional" third 'Ghostbusters' sequel. The 62-year-old actor - who co-created and starred in the first two movies in the film franchise in the 1980s - is excited about the upcoming third movie, which will feature a female cast in the main roles, but insists he has plenty of ideas to do another 'Ghostbusters' film. He said: "There's three drafts of the old concept that exists. And we're going to be able to salvage some of it and use it. Yeah, we're gonna be able to use it someday. "Let's get this one made and that will reinvigorate the franchise and then we'll go on to maybe doing a more conventional third sequel as we were planning and another idea I have for it." Aykroyd also praised Paul Feig for writing a great script for the upcoming movie - which is slated for release in 2016 - about four actresses, Melissa McCarthy, Kristen Wiig, Leslie Jones and Kate McKinnon, starring in the titular parts, and admitted the movie series needed to go down a different path. Speaking on Sirius XM, he added: "I can tell you, as the originator, I'm very happy with what [Feig's] done. It's very tasteful. And it needed a reworking. The thing needed a new engine. You know? It needed new exhaust. It needed new steering. And this is what we're getting." Physicist Erin (Wiig) finds herself teaming up with estranged high school pal Abby (McCarthy) and her eccentric engineer Jillian (McKinnon) in search of ghosts. Marred only by excessive reverence for the original, it's a spirited, funny and touching reboot which sticks two fingers up at sexist trolls.